SERVPRO of North Calhoun County, a reliable leader in the restoration industry, provides 24-hour residential and commercial services. Being locally owned and operated, we are able to be dedicated to having a faster response to any size disaster, with the proper training, equipment and expertise to remedy all of your restoration and cleaning services. SERVPRO Industries has over 1,700 franchises throughout the United States and Canada that are reliable, trusted and ready to help with all of your cleaning and restoration needs. SERVPRO of North Calhoun County professionals have several IICRC and other certifications and necessary equipment needed to provide the cleaning and restoration services to return your home or business back to its preloss condition. We also have the resources to respond faster to any size disaster. Learn more about our residential services. When your business has suffered fire or water damage, you need professional help to get it back into operation. Every hour spent cleaning and restoring is an hour of lost revenue and productivity. SERVPRO of North Calhoun County provides emergency restoration and professional cleaning services as quickly as possible to get your business back to business. 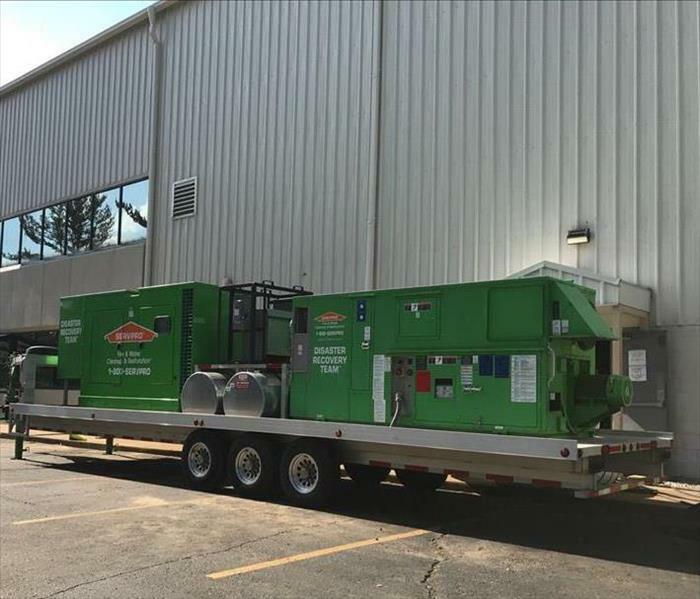 We are properly trained and certified with the equipment and resources to facilitate any size disaster. Learn more about our commercial services. SERVPRO of North Calhoun County is locally owned and operated, so we’re already close by and ready to respond immediately when you need us. We’re also part of a national network of over 1,700 Franchises, which gives us access to more resources for larger cleaning or restoration projects or major storm scenarios.